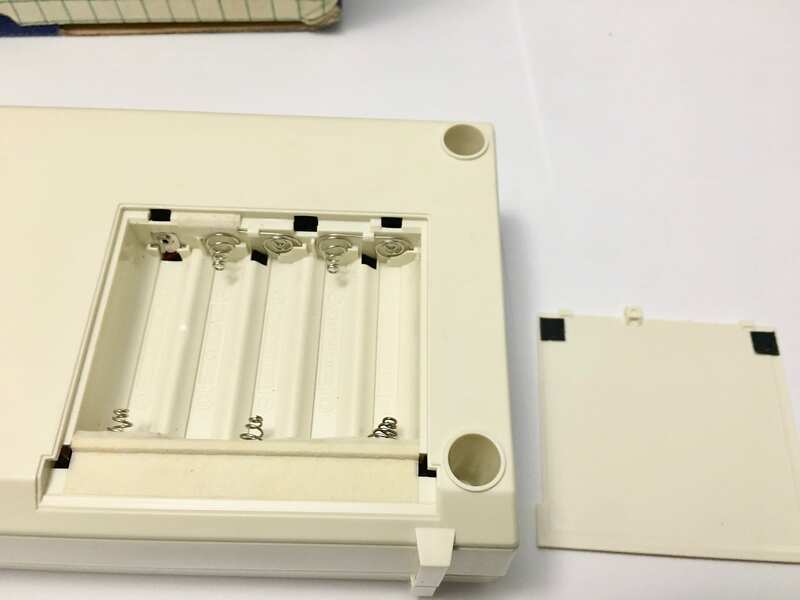 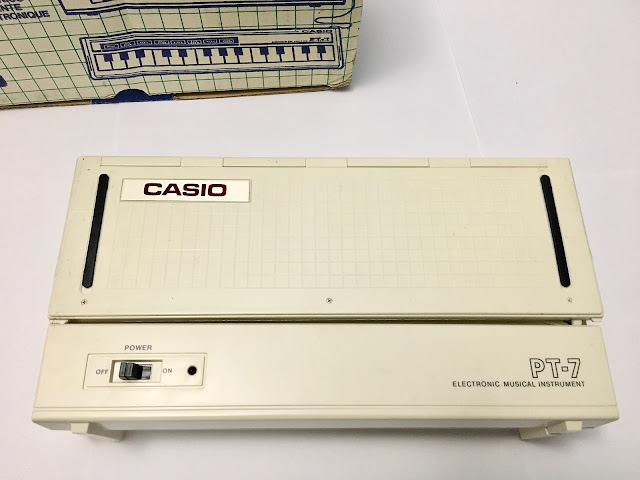 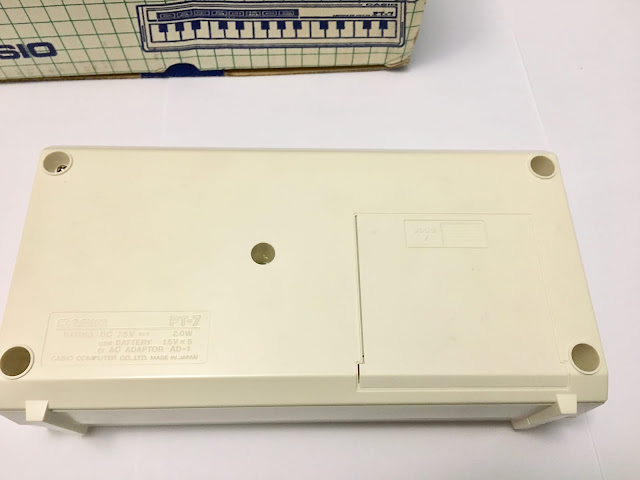 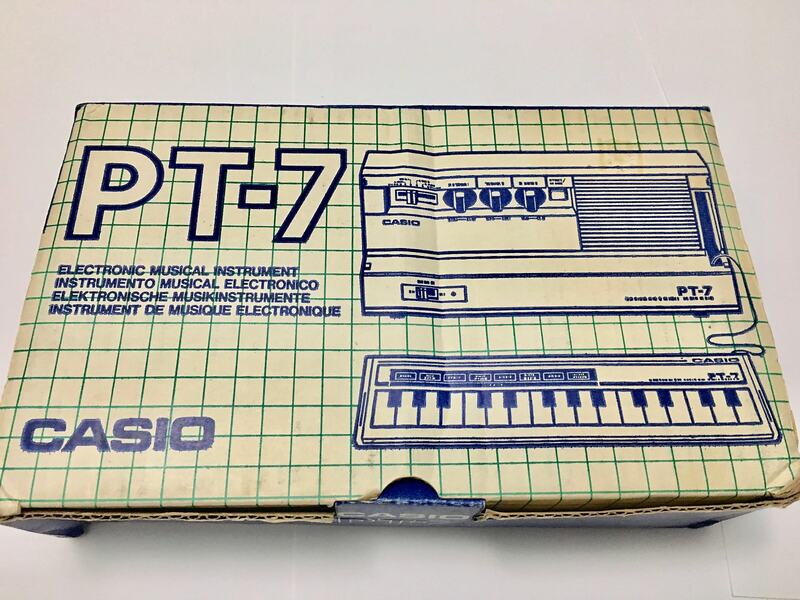 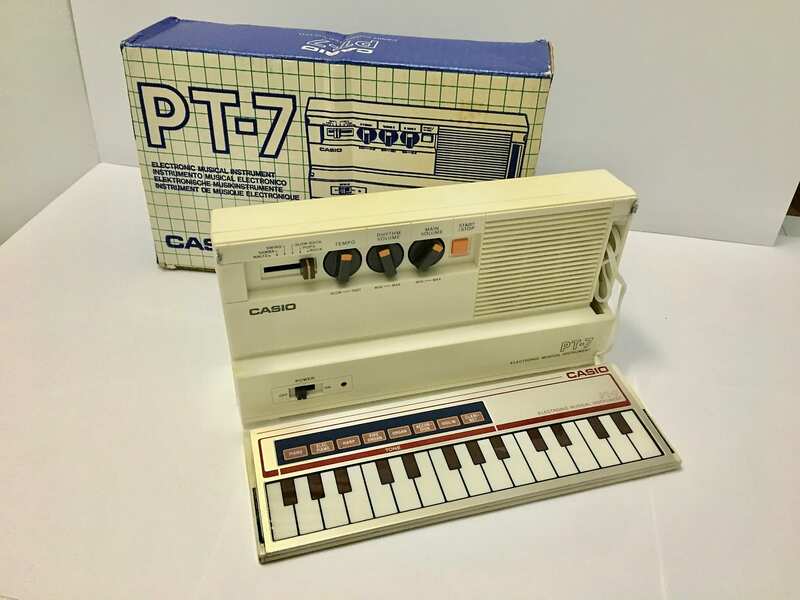 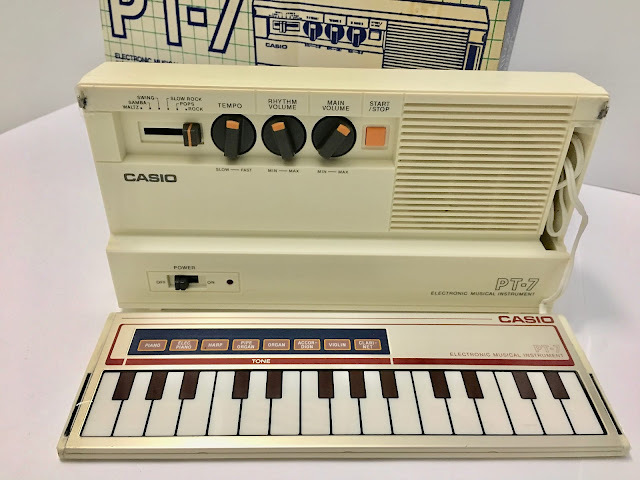 "The extremely rare Casio PT-7. A very unique and beautiful design by Casio. 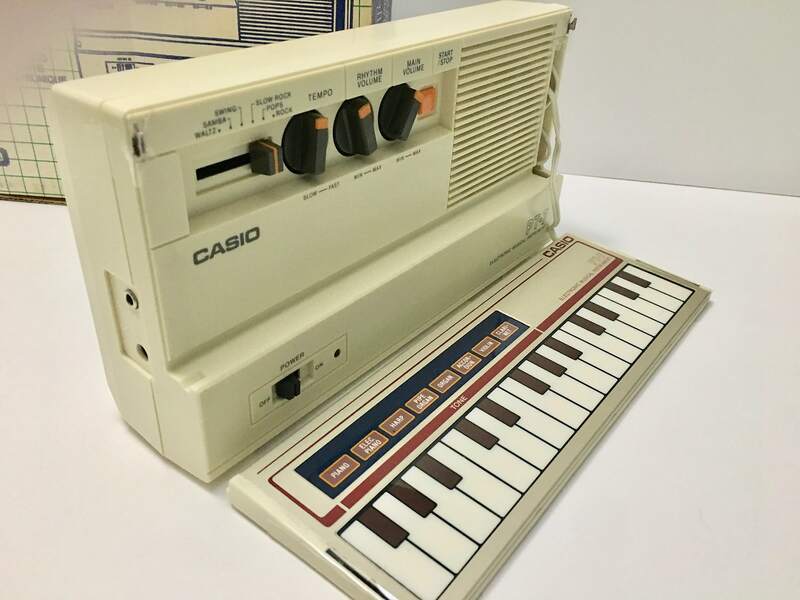 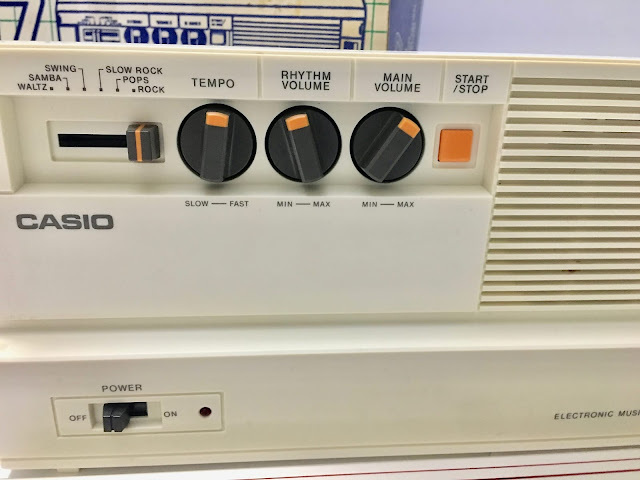 It has an analog rhythm machine and a digital keyboard! 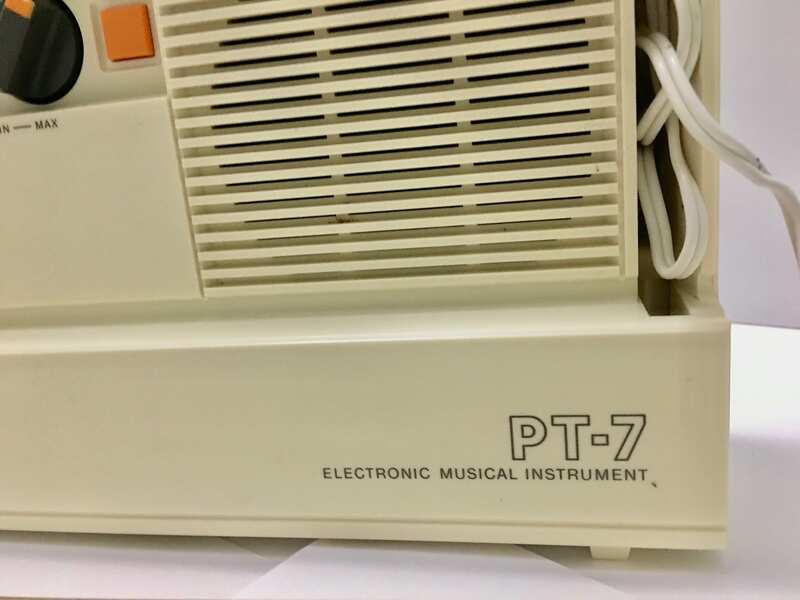 This particular PT-7 is in excellent cosmetic condition, but the keyboard has some issues. The lowest notes on the keyboard do not function, and it is stuck on one sound (piano, I believe). However, the rhythm machine portion of this PT-7 works perfectly. 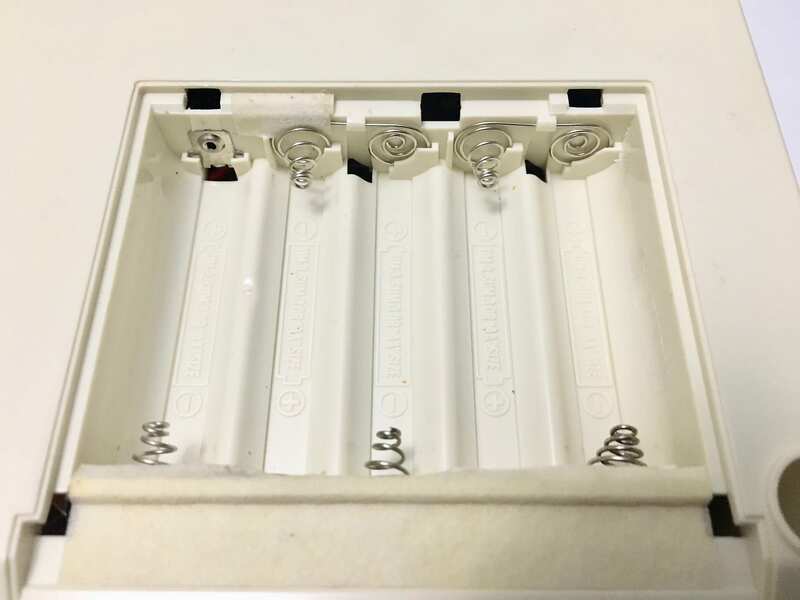 Includes original box."